Now in its sixth year, the SXSW Film Design Awards remain one of the few events in the world highlighting and awarding Excellence in Title Design. The annual Title Design Screening took place on Sunday, March 15th in the Vimeo Theater and showcased this year’s 23 finalists (which you can see below). Jurors this year included Prologue's Simon Clowes, Karin Fong, and MK12's Ben Radatz (also a contributor to this site). Both Clowes and Radatz themselves had title sequences in competition this year – Destiny and Semi-Permanent Sydney 2014 – while Fong’s former company Imaginary Forces had Manhattan in the mix. As a result, both Destiny and Semi-Permanent were ineligible for the Jury prize. As in past years, the scope of submitted work was outstanding, with sequences from television, film, conferences, and video games represented. 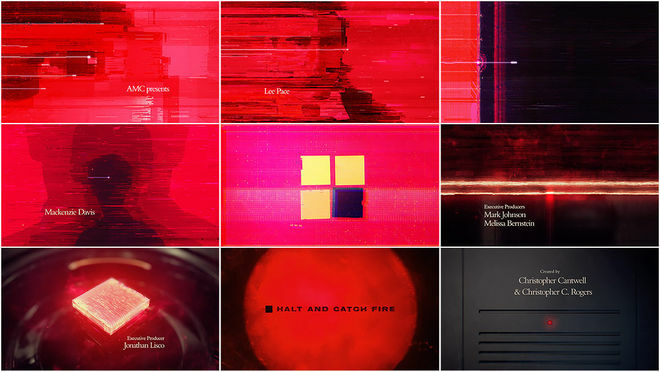 In fact, 2015 was the first year in which two game title sequences were a part of the competition. Looks like we may have been onto something last year! This was also the first year since 2010 that Art of the Title hasn't attended the SXSW Title Design Awards. We regret that we couldn’t be there to celebrate this amazing artform. Here’s to 2016! 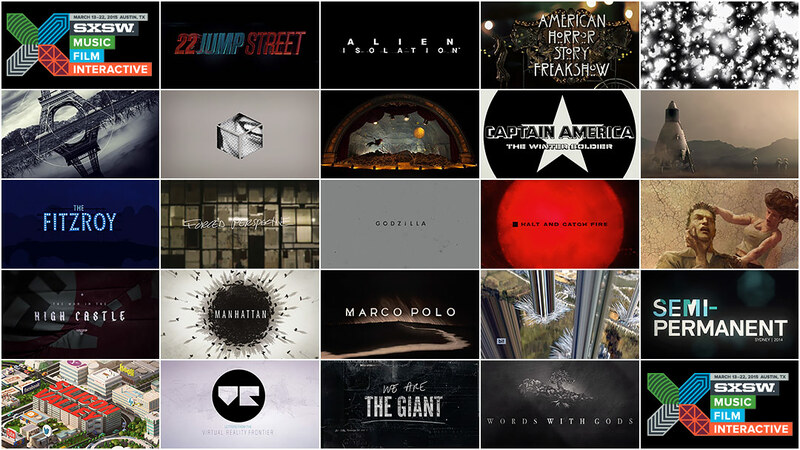 Yesterday evening the winners of the Title Design Awards were announced at the SXSW Film Awards. The 2015 SXSW Excellence in Title Design Award was given to Dan Gregoras and the team at Imaginary Forces for the main title work on WGN America's Manhattan. A Special Jury Recognition was also given to The Fitzroy, designed by Chris Tozer and Marko Anstice. Update Saturday, March 21st: The Fitzroy was also the winner of the 2015 SXSW Audience Award for Excellence in Title Design. See the full list of 2015 SXSW Audience Award winners here.